Another second largest planet in our Solar system is the Saturn Planet which is in sixth place from the sun after the Jupiter planet. Saturn planet is named after the Roman god Saturn, equated to Greek called Cronus (Titan father of Zeus), Babylonian called Ninurta and Hindu called Shani. The symbol of Saturn planet (♄) represents the Sickle of Roman God or the Roman god’s sickle. 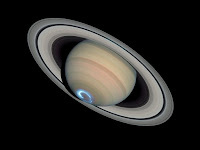 The planet Saturn together with the planets Jupiter, Uranus and the Neptune, is classified as the Gas Giant. Sometime these four planets referred to Jovian, meaning ‘Jupiter like’ planets. If we see the average radius of planet than it is nine times larger than that of Earth. Due to the large volume it has 1/8 times average density than that of the Earth. The mass of planet is 95 times greater than the Earth. Due to the huge mass of the Saturn planet & resulting gravitation, conditions produced on the planet are very extreme when it is compared with our Earth. It is assumed that the interior part of the Saturn planet is composed of core of iron, silicon, nickel and the oxygen compound, surrounded by the deep layers of metallic hydrogen, intermediate layer of the liquid hydrogen and the liquid helium & finally, outer gaseous layers. 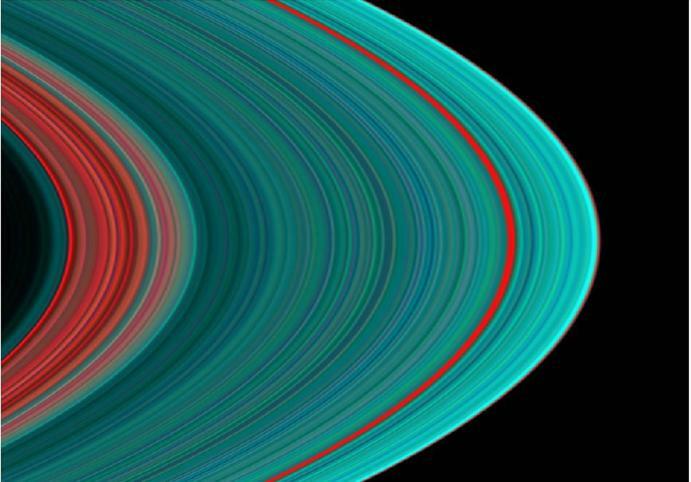 The electrical current within the metallic hydrogen layers is thought to give the rise of Saturn planetary magnetic and is slightly weaker than that of the magnetic field of the planet earth. This is approx. one-twentieth the strength of field around the planet Jupiter. The outer atmosphere of the planet is generally bland in the appearance, although the long lived features also can appears. It is also found that the speed of the wind can reach up to 1800 km/h which is significantly faster than that of the Jupiter planet. 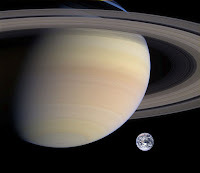 The Saturn planet has unique view that is it has nine rings consisting mostly of ice particles with the smaller amount of the rocky debris and dust. There are sixty two known moons which orbit the planet and out of them fifty three are already officially named. It’s not the counting of hundreds of ‘Moonlets’ within rings. Saturn planet has the second largest moon after Ganymede of Jupiter planet named as Titan which is larger than the Mercury Planet and this is only the moon which have significant atmosphere in our Solar system. Because of the lower density present the planet has rapid rotation and the fluid state. It is an oblate spheroid that means it has flattened at poles and has bulges at equator. Almost there are the difference of 10% in equatorial and the polar radii i.e. 60,268 km versus 54,364 km. similarly other gas planet also is in oblate but to lesser extent. One interesting fact about the planet is it has less dense than water. Though the core of Saturn planet is considerably denser than the water, average specific density of planet is 0.69 g/cm3 because of gaseous atmosphere. While comparing planet Saturn has only 95 Earth masses of Jupiter and is 318 times than that of mass of the Earth. While comparing with the Saturn planet it’s only about 20% larger. There is not exact information about the internal structure of Saturn planet but it thought that in internal part is similar to that of the Jupiter planet which have small rocky core surrounded by the hydrogen and the helium. It is similar rocky core in the composition of the Earth but is denser. It is surrounded by the thicker liquid metallic hydrogen layer, followed by the liquid hydrogen and helium layers and the gaseous atmosphere in outermost 1000 kilometer. Different volatiles traces are also present. It is also estimated that the core region of the planet is about 9 to 22 times than the mass of our Earth. The interior part of the planet is very hot reaching to 11700 degree Celsius at the center core and it radiates 2.5 times more energy into the space than it receives from Sun. most of the extra energy is generated by Kelvin Helmholtz mechanism (slow gravitation compression), but this is not only a sufficient for explaining the heat production of Saturn planet. 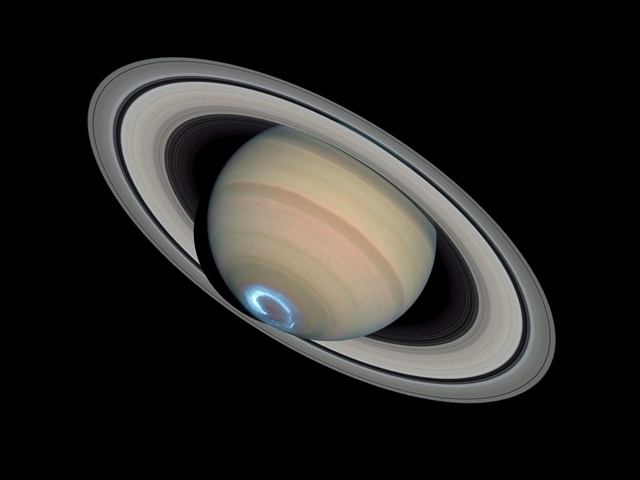 It is also proposed that additional mechanism might be at the play whereby the Saturn generates some of its heat through the raining out of droplets of the helium deep in it’s interior. Therefore the releasing of heat by frictions as they fall down through lighter hydrogen.